Photos of the Target store at Shopper's World located at Danforth and Victoria Park in Toronto. Target is shutting down in Canada. Target Corp. Chairman and CEO Brian Cornell said Thursday that the company was unable to find a realistic scenario in which the 133-store Target Canada would become profitable before at least 2021. It is Cornell's first major move since becoming CEO in August. Cornell, who's been tasked with maintaining the retailer's momentum and reclaiming its image as a purveyor of cheap chic fashions and home decor, said it was a difficult decision "but it was the right decision for our company." "We have determined that it is in the best interest of our business and our shareholders to exit the Canadian market and focus on driving growth and building further momentum in our U.S. business," he added. Cornell said Target Canada worked hard to fix its operations and improve its relationship with customers, but that it didn't see the changes it was looking for over the holiday period. Target entered Canada in 2013. While operations there improved before the holiday season due to changes in pricing and product assortment, Target still wasn't satisfied with its performance. Target faced problems from the get go when it entered Canada. There are costly regulations, a slow economy and increasing competition. Its experience in Canada hasn't been unique, though. Big Lots Inc. and Best Buy Co. have shuttered stores there and Wal-Mart Stores Inc. has seen its sales in Canada weaken. The retailer said Thursday that it anticipates approximately $5.4 billion in fourth-quarter losses from discontinued operations in Canada. It foresees about $275 million of losses on discontinued operations in fiscal 2015. The company said that it is seeking court approval to voluntarily make about $59 million in cash contributions into an employee trust. 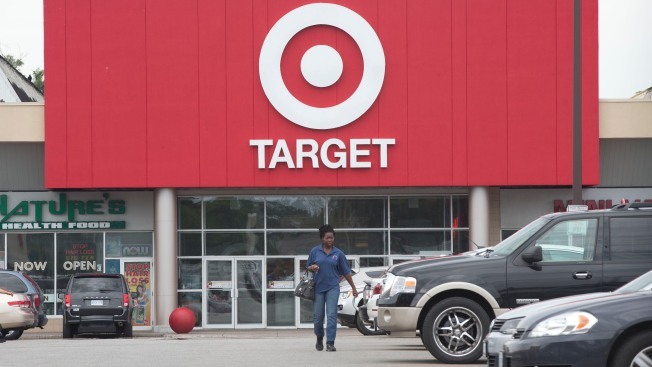 Once approved by the court, the proposed trust would give almost all of Target's Canada workers a minimum of 16 weeks of compensation, including wages and benefits coverage for employees not needed for the entire winding down of the business. Target Corp. anticipates its exit from the Canada market will increase its earnings in fiscal 2015 and beyond and boost its cash flow in fiscal 2016 and beyond. Target also announced that it now foresees fourth-quarter sales at U.S. stores open at least a year up about 3 percent. Its previous outlook was for an approximately 2 percent increase. The chain said its raised forecast was due to its performance for the holiday period including November and December. The Minneapolis company said that it had higher traffic and better-than-expected online sales during the period. Sales at stores open at least a year is a key gauge of a retailer's health because it excludes results from stores recently opened or closed. Target anticipates fourth-quarter adjusted earnings of $1.43 to $1.47 per share. The company's stock gained $4.21, or 5.7 percent, to $78.54 before the market open.